Get great ideas for your next tattoo by checking out our huge list of the world's most popular tattoo designs and symbols and their meanings. Read the fascinating history behind the evolution of tattoo art & design, from early nautical tattoos to modern tribalism & all styles in between. What are the hottest symbols & designs? Everything you ever wanted to know about getting a tattoo! We have info about tattoo design ideas for girls and men. What are the Top 10 tattooed body parts? Speaking of body parts... how about the Top 10 hand tattoos? Which celebrities and historical figures have tattoos? Some you know about but a few will surprise you. -- See what tattoos and the Hottest, Sexiest Most Desirable Women in the World have in common! Check to see who the 25 most popular tattooed celebrities were (based on internet searches). Who are the World's Hottest 101 Tattooed Men? Our online tattoo museum covers tattoos and tattoo culture from ancient to modern. From tattooed mummies to North America's First Nations people and their tattoos. Visit the Tattoo History index to see all the sections our Tattoo Museum has to offer. Try one of our trivia quizzes, view ancient tribal tattoos & body art designs from around the world at our Tattoo History Museum. View our breathtaking bodyart and photo galleries -- including the amazing Tattoo Photographers Galleries featuring photos & work from some of the very best fine art body and tattoo photographers in the world today! See our Tattoo Model Gallery Section and find out who the most popular tattooed models are. 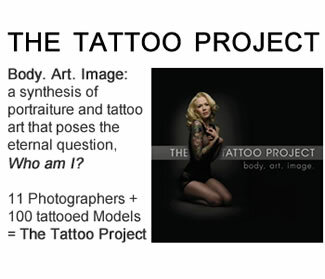 What is the Tattoo Project? TATTOO HISTORY MAP OF THE WORLD! Our interactive Tattoo Map of the World has now launched. We have now rolled out of the map at our Tattoo Museum. 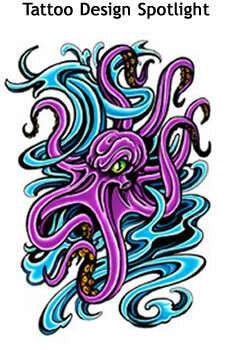 Check out Oceania, Asian, North American, South American, African and European Tattoo History now. Take a look at a large version of the full map to see the many locations and the tribal cultures that practiced the ancient art of tattooing.